After galavanting around downtown Chattanooga, we headed to pretty much my favorite place to eat, Zaxby’s. Whenever I’m within a 30 min driving distance to a Zaxby’s I MUST go. My only requirement for this family trip was eating at Zaxby’s ( I really wanted Chick-fil-a but my mother overruled that). 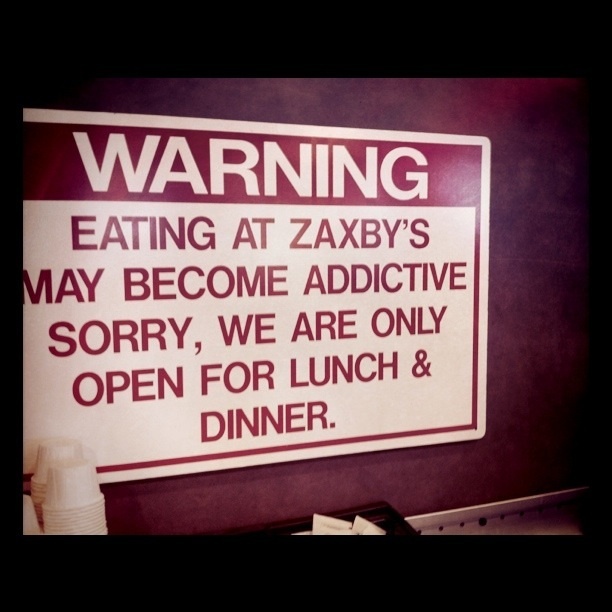 If you don’t live in the southeast you probably have no idea what Zaxby’s is. It’s a chicken place with the most amazing sauce you’ve ever had in your life. I seriously buy it in bulk or have people mail it to me because I love it that much. My love of Zaxby’s began in college. There were a few around Columbia, SC and it was my bffs and my favorite place to go after a night out on the town. Zaxby’s has great chicken fingers and they are perfect to soak up all the alcohol the next day. We spent many Sunday afternoons recapping the night before and stuffing our faces. Some of my favorite memories in college are hanging out there and that may be why I love it so much. So of course I made my family go and even hyped it up all day. I dragged my parents, aunt and uncle, two cousins and one cousins bf with me. Everyone seemed to really enjoy it. 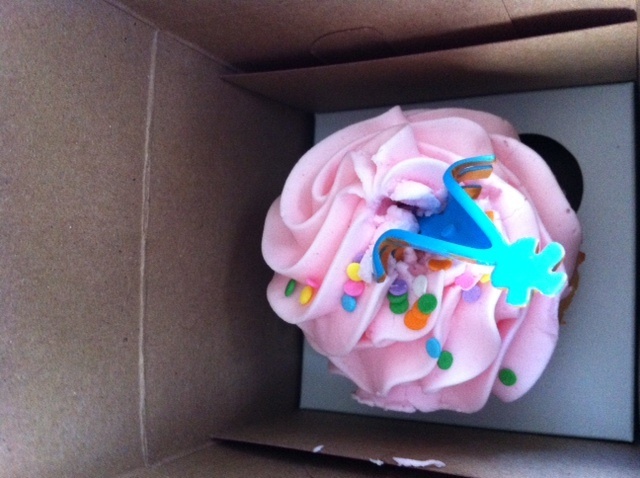 A birthday cake cupcake. It had funfetti cake, which obv sold me on it. 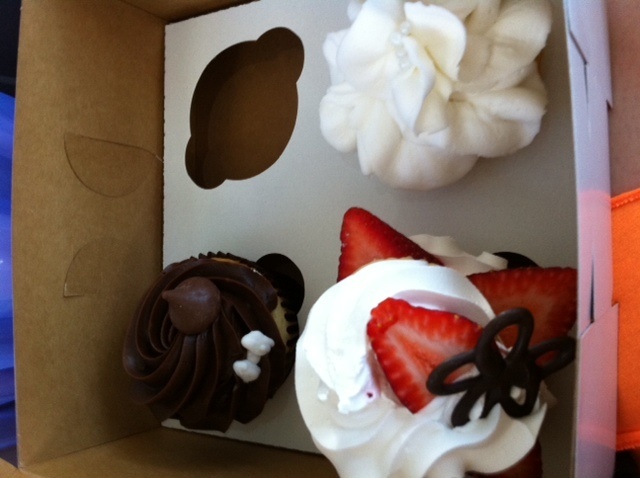 A bride and a groom cupcakes and a strawberry short cake cupcake. 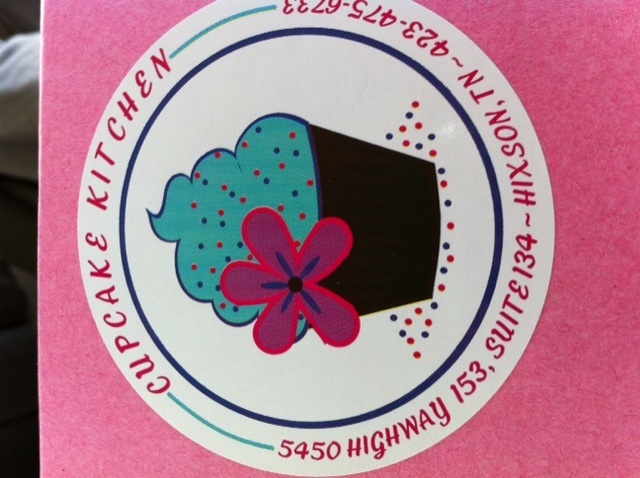 My cupcake was very yummy, I had it for breakfast the next morning on the plane (I’m so healthy sometimes). I was really enjoying the time spent with my family. After our little excursion we headed back to the hotel to get ready for the big wedding. 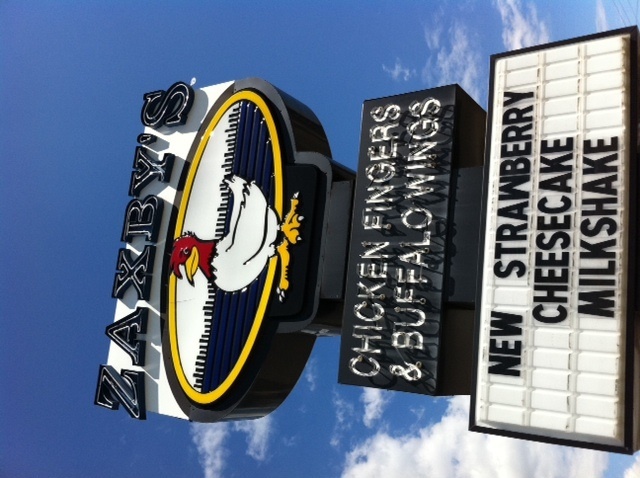 While Zaxby’s is not gourmet cooking (okay it’s fast food) it is one of my favorite places to eat. Their sauce is sooo good and it’s comfort food for me. 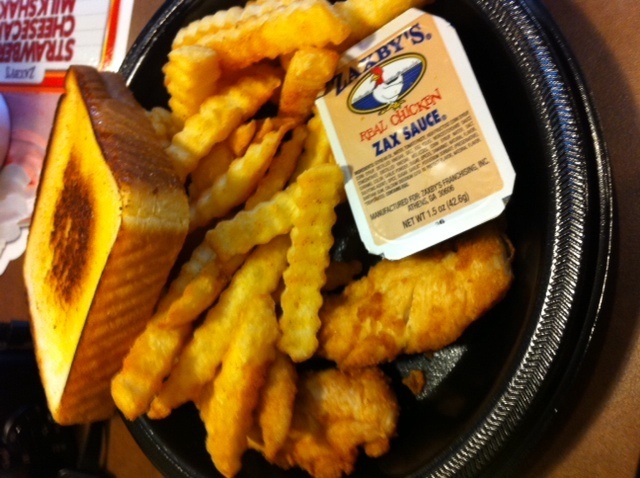 I’m quite the foodie these days, but I can’t deny my love for Zaxby’s. I’m sorry for the random blogging these days. The new job is making me pretty exhausted by the time I get home. I just usually don’t have the brain power to form sentences. I love the job so far, hopefully when I get more settled in I can figure out a blogging schedule.